Margaret (one of the ladies on my Gerrards Cross Summer School course) sent me a pic of her finished album. All finished with embellishments. The perfect Golden Wedding album! 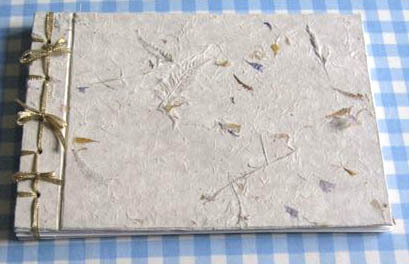 Thanks so much for the photos, Margaret - this album is lovely, and I'm sure was the perfect present for a perfect day! I particularly like the little bows you inserted along the binding - an idea I'm definitely going to pinch! Why didn't I think of that?